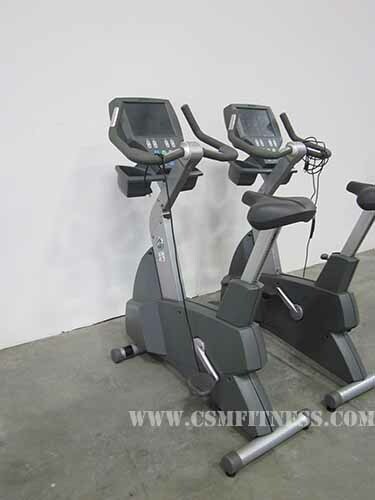 Life Fitness 95Ce The Life Fitness 95Ce upright bike is the latest innovation in LCD technology with integrated touchscreen console. It was also built for ride-ability, offering a slotted comfort curve seat that takes the heat off the backside and puts it on the muscles that the user wants to be targeted. The 95Ce also has precisely placed handlebars that can be grabbed on the top for an aero-position or on the sides for stability. The handlebars have a heart rate sensor that provides instant intensity feedback. Overall the 95Ce upright bike offers a state-of-the-art stationary cycling experience of users of all abilities.